Papertec: Let us help you stay environmentally friendly. - Papertec Inc.
As the battle of paper vs. plastic wages on, we here at Papertec know that we offer a sustainable product that will help to reduce our carbon footprint and keep the environment sound. For years Europe has been leading the eco-friendly trend and have put into place very strict packaging regulations in many product markets. North America is now seeing many of the same demands from our government and consumers. As the old saying goes, “what the consumer wants, the consumer gets!” Retailers and manufacturers alike, have been quick to pick up on the growing need for sustainable packaging. Many major chain grocery stores are all doing away with plastic bags and solely using recycled brown paper bags. Some have eliminated the use of PVC plastics in packaging. When the news broke that the FDA had banned BPA in baby bottles and cups, we knew it was just a matter of time before even more people became concerned with the types of materials that are packaging and wrapping products that are essential to everyday life. We are proud to say that MANY of our paper grades are FDA approved for direct and indirect food contact and contain no harmful additives to people or the environment. Even the inks that we use to print our products are water-based or soy based and FDA approved. 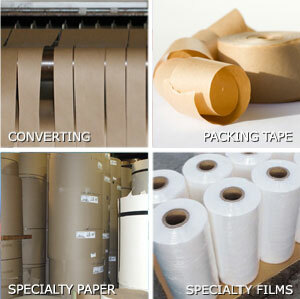 Visit our website to see the massive variety of paper packaging that we can offer you. If you can make it, we can help package it…and keep you green in the process too! This entry was posted in Paper, Paper Converting, Sustainable Packaging. Bookmark the permalink.